Louie the mini dachshund loves being in the spotlight. 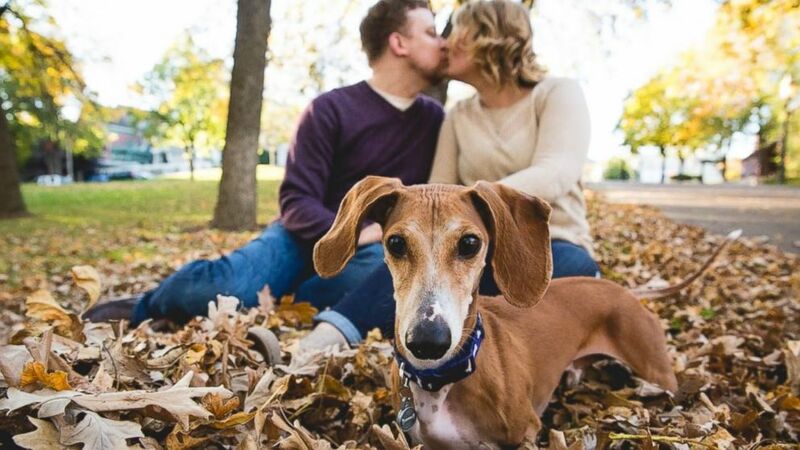 camera (DnK Photography) Louie the miniature dachshund was captured photobombing his owners, Megan Determan and Chris Kluthe, during their engagement photo session in St. Paul, Minn. on Oct. 13, 2015. 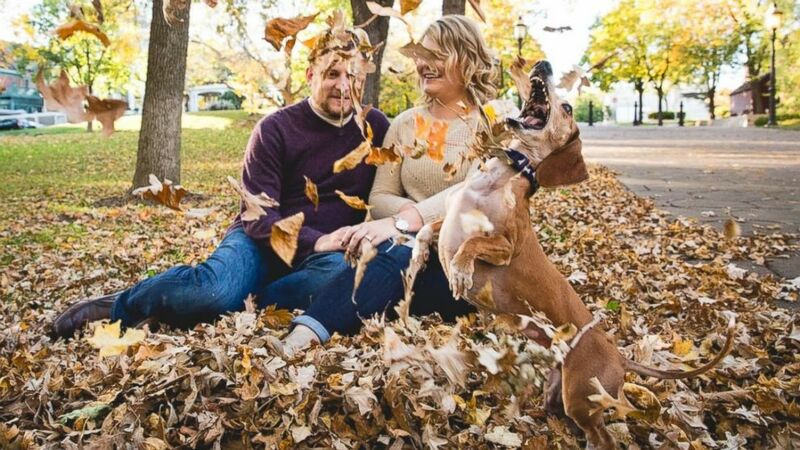 A Minnesota couple's engagement session is getting lots of Internet buzz after their dog Louie photobombed their pictures in the most hilarious way. "Louie is six [years old], but he's got the heart of a puppy," photographer Karin Berdal of Minneapolis, Minn., told ABC News. "He had no clue what he was creating for us, but once we got that picture, we were cracking up. "I think Megan's response was 'Well, that’s Louie. He's a show stopper.'" Berdal, who's co-owner of DnK Photography, said it was Oct. 13 when she photographed an engagement session with Megan Determan and Chris Kluthe at a park near their home in St. Paul. (DnK Photography) Louie the miniature dachshund was captured photobombing his owners, Megan Determan and Chris Kluthe, during their engagement photo session in St. Paul, Minn. on Oct. 13, 2015. 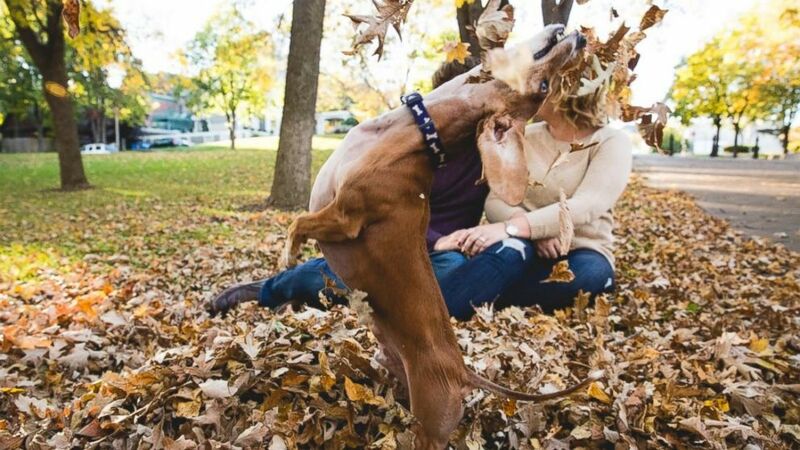 Berdal said she began photographing the couple when their dog Louie, a mini dachshund, made a silly cameo by leaping into the shot. "Megan and Chris just sit down and start our normal engagement session," Berdal said. 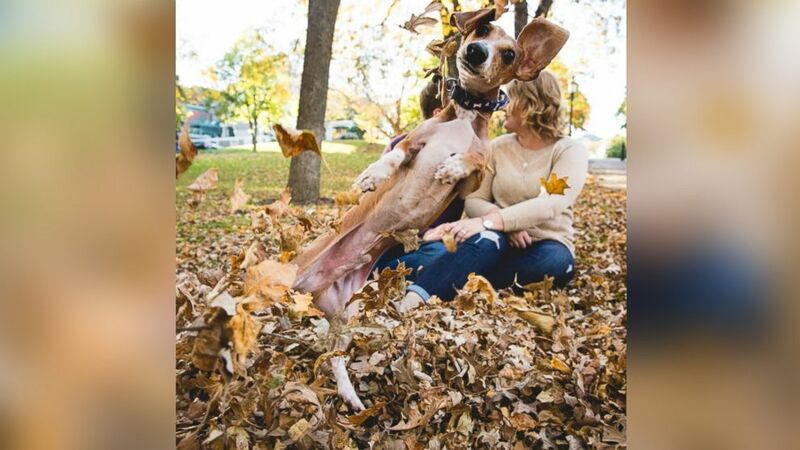 "We sat him down to take a few pictures and Louie started jumping in and out of the leaves and in front of the camera." Berdal shared the moment on her company's blog and Facebook page, where it was soon picked up by a local news site. "We knew it was hilarious, but we had no idea that it'd be this hilarious to everybody else," she said.